You searched for which does not fit your . We've redirected you to 130-1149, which has the proper fitment. I like this helmet better than the Shoei RF-SR that came with the bike and had only been worn for 350 miles, so both are basically new. 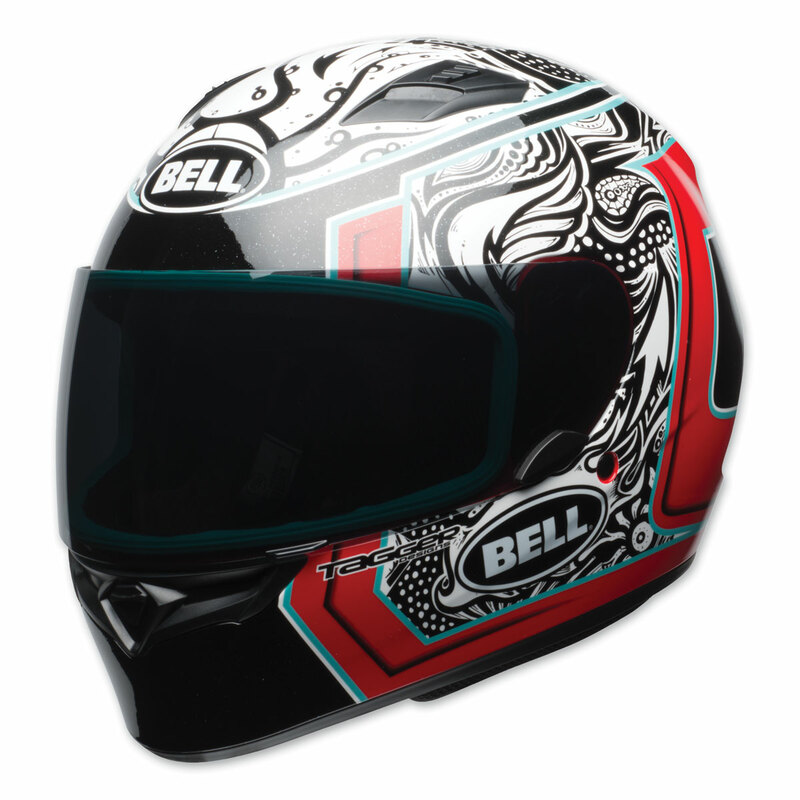 I feel more secure in the Bell, and the graphics are totally cool...Reminds me of the Stones cover Tattoo You. Phenomenal deal on a quality helmet. Will always do business with y'all after this last purchase. Lightweight, Excellent fit and finish. Well I now have two of these. The first was a hair tight and would not agree with my glasses. So I ordered the next size up and its perfect. I love the color scheme and overall design of the helmet. Feels good while using and has a good flow of air going through it. But I will tell you for $44.99, this Bell is a steal. Nice weight , good field of vision.A little on the noisy side on the highway. Great helmet !